style decor which includes antiques, stained glass medallions, Tiffany style lamps, and sleigh beds while still enjoying the modern amenities and services today’s business and leisure travelers have come to expect including complimentary wireless Internet access, state-of-the-art audio/visual equipment for meetings, a 24-hour fitness center, airport transfers, and much more. 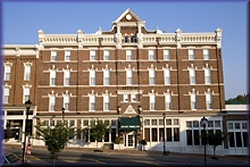 Appalachian GhostWalks tour and vacation pick-up and drop-off service is available at this and other fine area hotels. 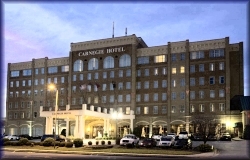 Click Here for the Carnegie Hotel's official website with full details along with photographs, location, and contact information. Febuary Hill Bed and Breakfast - 1832 Kim and Mike Anders welcome you to Febuary Hill Bed and Breakfast. 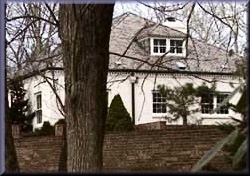 The hill on which this lovely home resides takes its name from the Febuary Family. The Anders use the same spelling to honor its lineage. Home to Civil War Army General Reuben Frank Bernard, the property is rich in history... and more. Call Appalachian GhostWalks to schedule your tour and reserve your stay. Click for more info. The Eureka Inn 1797 - Jonesborough, TN Historic Eureka Inn is located on Main Street, once the old Stage Road, in the heart of downtown Jonesborough. 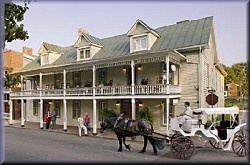 The Eureka Inn is the only historic hotel in Tennessee's oldest town. This beautifully restored hotel is just a few doors down from the International Storytelling Center and the wonderful antique and craft shops that line the historic downtown area. Click Here for further details and information. Inn on Town Creek in Abingdon, Virginia The Inn On Town Creek is a delightful bed and breakfast on lovely tree-lined Valley Street in the heart of historic Abingdon, Virginia. 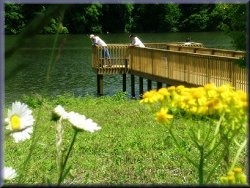 It is located on four beautifully wooded acres of land, graced by a tributary of the Holston River. Centuries of rains and snows fed this creek which flows gently through the grounds, shaded by pines, dogwoods, and huge rhododendrons. Click Here for info. 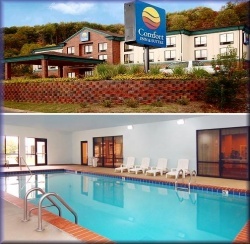 Mountain Inn - Erwin, Tennessee The The Mountain Inn and Suites in Erwin, Tennessee is a fabulous affordably priced hotel in a spectacular and serene mountain setting unsurpassed with an outdoor heated pool open seasonally. The hotel was accidentally built on a Civil War Battlesite and guests learn more about this on the Erwin GhostWalk with further details on our Historic Tour of Erwin. Click Here for further details and information. Historic General Morgan Inn - Built 1884 Originally built in 1884, the General Morgan Inn of Greeneville, Tennessee is a landmark hotel and member of the National Trust Historic Hotels of America. 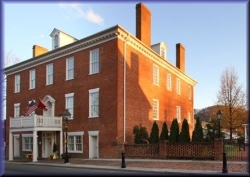 The General Morgan Inn has been the crown jewel of downtown Greeneville for more than century and has been carefully renovated and restored to offer the best of today's creature comforts in a beautiful late-Victorian setting. Click Here for info. The Shepard Inn - Dandridge, Tennessee Dandridge, Tennessee - just 25 minutes from Pigeon Forge is the perfect way to escape the hustle and bustle of the Smokies with one of our fantastic vacation packages! 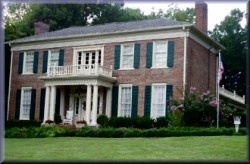 The Shepard Inn Bed and Breakfast was built by Shadrach Inman ca. 1820. Since that time registry books have been filled with names of movie stars, musicians, politicians, and even royalty from around the world. Click for info. 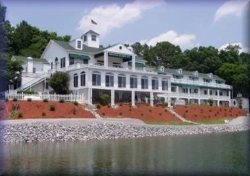 Mountain Harbor Inn - Dandridge, TN Mountain Harbor Inn is an all suite bed and breakfast inn where every room offers a breathtaking view of the beautiful Douglas Lake, caressed by the majesty of the Great Smoky Mountains. All of the suites include a Romantic Sunset Cruise, and Intimate Candlelight Dessert and a Bountiful Breakfast Buffet. Enjoy great discounts on your stay with Appalachian GhostWalks! Click for more info. 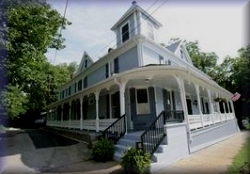 Hale Springs Inn - Rogersville (1824) The haunted and historic Hale Springs Inn, built 1824 at the heart of downtown Rogersville features nine spacious guest rooms and suites with private baths. The inn has three presidential suites named after presidents to stay here - Andrew Jackson, Andrew Johnson, and James Polk. This fully renovated inn offers a full breakfast and is located in the middle of the Historic District. Click for more info. 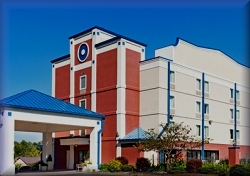 The Comfort Inn in Rogersville, TN The Comfort Inn and Suites hotel is conveniently located just minutes from historic downtown Rogersville, home of the oldest courthouse in Tennessee. Close to Cherokee Raceway Park, Caney Creek Gospel Music Park, and the Ebbing and Flowing Spring, one of only two in the world influenced by tidal forces, you'll enjoy the great outdoors. 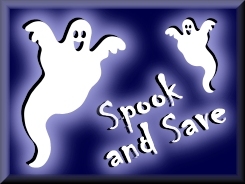 Altogether, an affordable and comfortable overnight accommodation for our evening lantern-led Rogersville GhostWalk. All with a great selection of shops, theaters, and restaurants. Click Here for more info. Beautiful Lakeview RV Park - Bluff City Appalachian GhostWalks recommends Warriors Path State Park in Kingsport, TN for all of our camping guests! For RV's we suggest Lakeview RV Park. Amenities include horseback riding, water park with a water slide and pool, lakeside activites, boat rentals, and more. Click Here for State Park info, or on the image to the left for the RV Park. Both are located close to all of our "Mountain Mysteries"TM Ghost, History, and Bigfoot Adventure Tours! Click Here to return to our "Haunted Vacations"TM page. Click Here to return to our "Paranormal Expeditions"TM page. I am writing in regards to the vacation that I and my wife took with your company (October 2009). I was completely amazed at the amount of research that your company provided including the “one on one tour guide experience”. 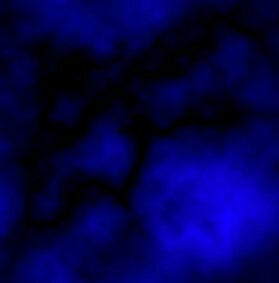 This has been the best anniversary vacation that I and my wife have participated in, including the expert tutelage during our classes in "Ghostology 101". I would highly recommended your company to anyone that wishes to explore an alternative vacation experience and thank you from the bottom of my heart for a vacation that will be cherished for many years. I look forward to planning my next vacation with your company. My heartfelt thanks to you and Michael Combs for an outstanding vacation memory. - Mr and Mrs Kyle McKee, U.S. Dept of Immigration, Wash, D.C.